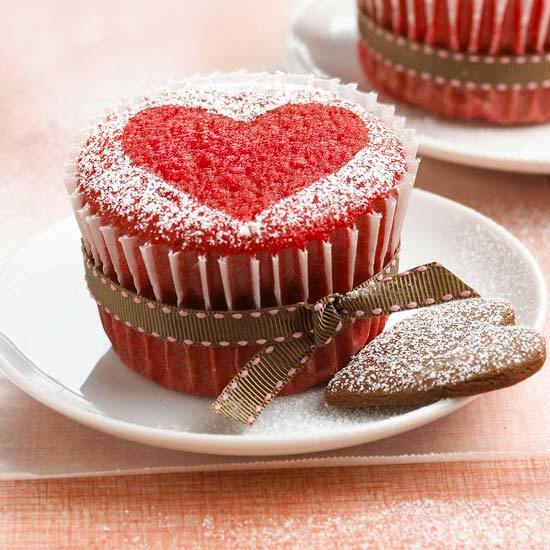 Treat your sweetie to a Valentine cupcake that shows your love before the first bite. 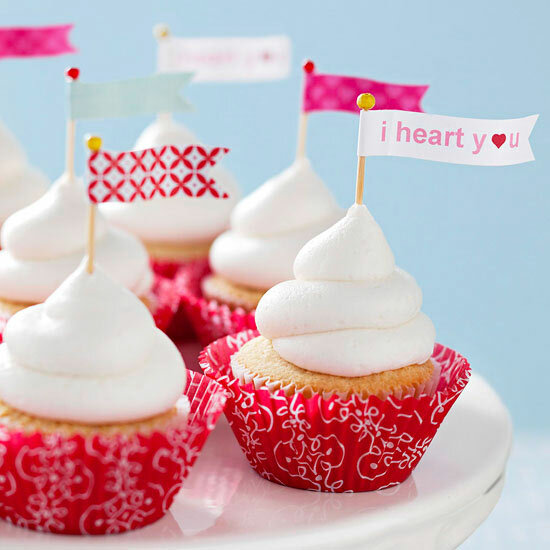 These cute cupcake ideas will charm children and entice adults, too. 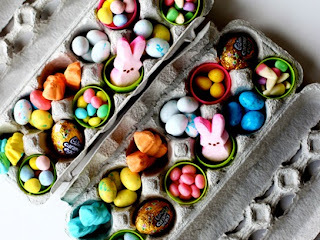 You'll fall in love with the easy decorating techniques used to create these delicious gems. Get your Valentine's Day message across loud and clear. 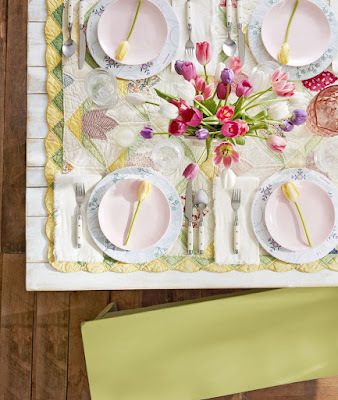 Print love notes or Valentine greetings on decorative paper and cut into narrow strips. 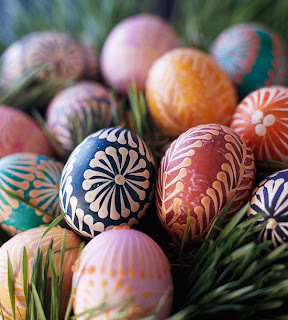 Wrap each strip around a toothpick and glue a tiny wood bead to the tip. 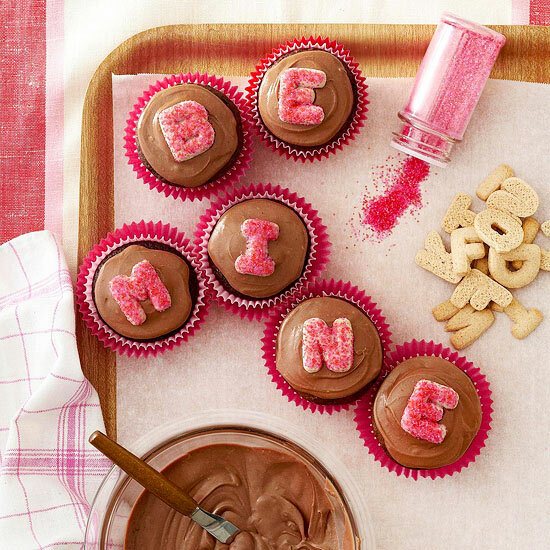 Adorn your favorite frosted cupcakes with heartfelt messages. Stack the cupcakes in your favor. Sweet filling unites the moist cake layers for a perfect marriage. 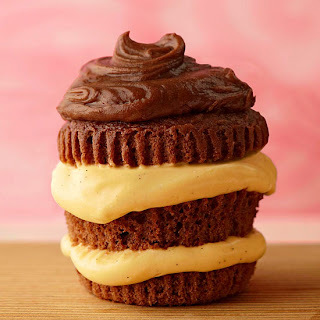 Simply slice the cupcakes horizontally into thirds and slather your favorite filling between layers. We used creamy vanilla pudding, but fruit jam also works. If vanilla cake is your choice, try a chocolate pudding filling or use lemon curd. 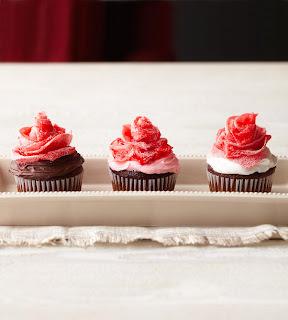 Swirl the top with your favorite frosting. Wise owls know exactly who loves them, and with these cute toppers, so will everyone on your Valentine's Day list. Use our free pattern to assemble the owls using cardstock, googly eyes, and scrapbooking embellishments. Whisper sweet nothings to the ones you love. Swirl your favorite cupcakes with creamy frosting and adorn them with a scattering of message-bearing, heart-shape candies. Cupcakes can speak volumes. 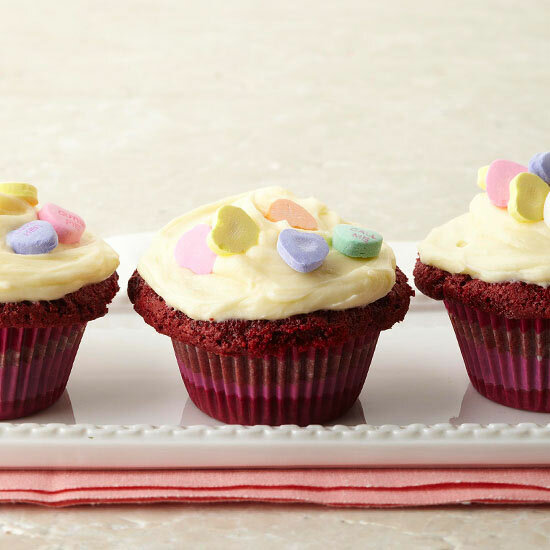 Start with frosted cupcakes in vanilla, chocolate, or your Valentine's favorite flavor. 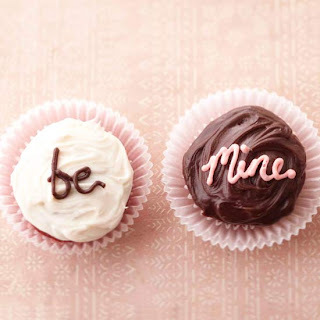 With a piping tip, write a word of love on top of each cupcake in a contrasting color. 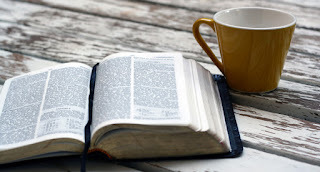 Keep it simple with "Be Mine," or make it a sonnet if you're inspired. Wear your heart on a decadent dessert. Red Velvet Cupcakes sport the color of the season. With a heart-shape cookie and a little powdered sugar, they're dressed for a party -- whether it's for two or more. Spell out your desires. 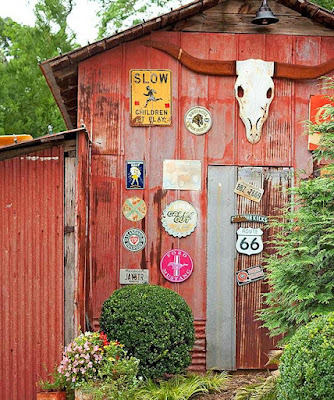 Romantic, charming, or passionate, your message is oh-so-easily delivered. Glaze alphabet cookies with thin icing, then sprinkle them with colored sugar. 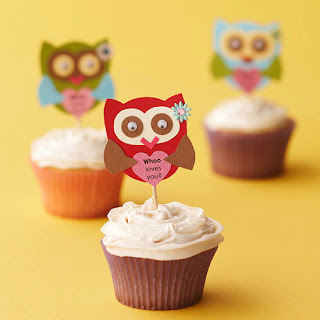 Perch the sugared letters atop frosted cupcakes and arrange the cupcakes to send the perfect message. 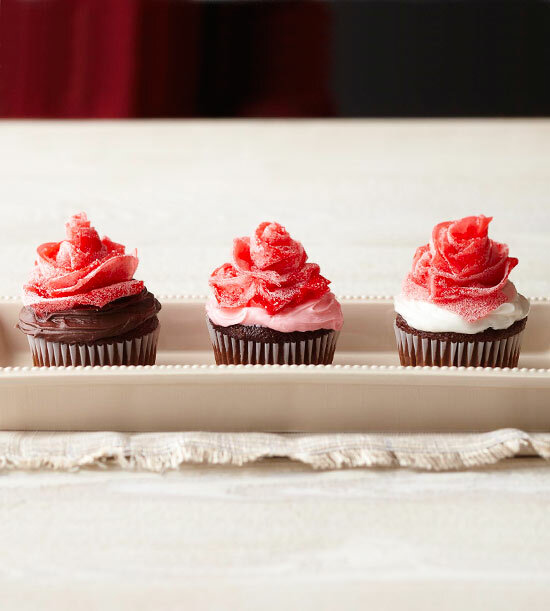 When nothing but roses will do for your true love, create a cupcake bouquet. The pretty red petals are so easy to make, you'll have a dozen in no time. The secret ingredient: fruit leather dusted with sugar!